RAJAH TUPAS - POETRY-"SUGBO PANALIPDAN,PAKA-MATYAN"
Sa kalangitan, sa kabitoonan nagiyahan! Ni Panglima Awang “Enrique” sila gitultulan. Nga punô sa bahandî ug bulawan. Niadtong ikapito sa Abril 1521..
Nahimugsô ang gubat sa panggubatan! Lapulapu way sibugan ug way kahadlokan! Ang Sugbo! “Gipanalipdan ug gipakamatyan”. 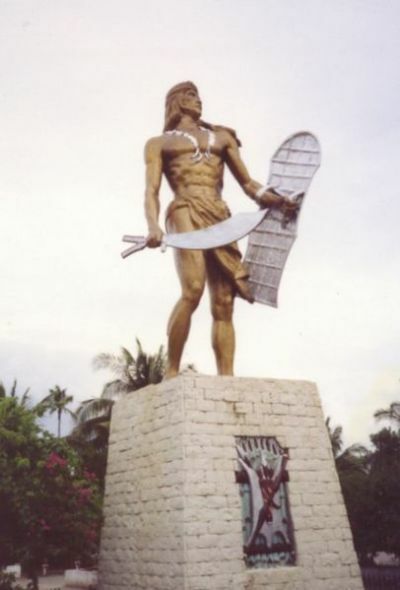 (This poem was composed purposely by the author for April 27‘s historical annual celebration dubbed as “Kadaugan sa Mactan”, where the native Chieftain Datu Lapulapu, a victorious “Malay hero” in the “Battle of Mactan” wayback 1521. Unfortunately, the author failed to submit to the Organizing Committee due to pressure of work; the Hippocratic Oath, Patient first before above all). 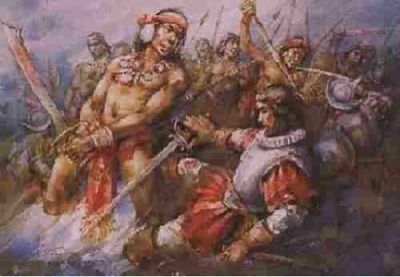 Note: Nakhoda Ismail and Panglima Awang (Young Warrior) were the names of Enrique de Malacca, the navigator(Nakhoda) and the interpreter of Magellan. Cebu! To Protect! To Die For! At all cost to protect you our lives we offer!